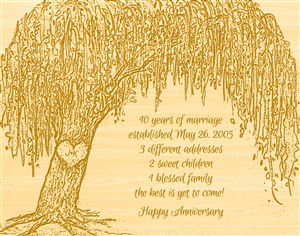 As the wind blows and the storm rages on, the willow tree will bend and remain strong. 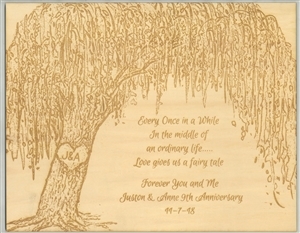 Reveal how you feel to that someone special with your own words on this beautiful Engraved willow tree. 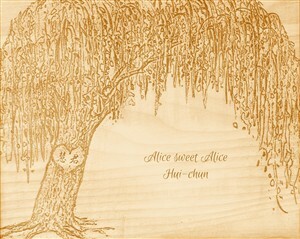 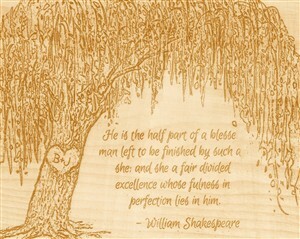 Based on our popular Art My Way watercolor Willow Tree, we bring you this stunning engraved wood art! 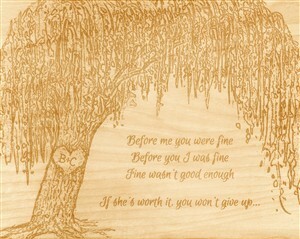 It is carved with the latest laser engraving technology on premium tilia wood and ready to hang. 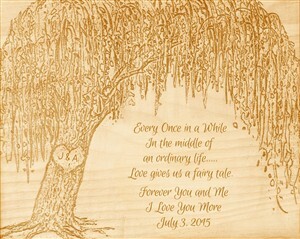 This unique wood art makes a great gift to the people you love.